Florinda & Co. is a fresh Digital Marketing agency. Helping it’s customer to reveal and flourish the story behind their business, it aims to unlock their growth potential. The thinking behind the design was to create an identity and logo that would show the youth of the company as a value but also help them to be seen as professional, bold, trustworthy and reliable. The design choices to secure to convey those concepts were most of all in the choice of bright colours and sharp yet functional fonts, mixing the two to create a result that can translate the company's messages. 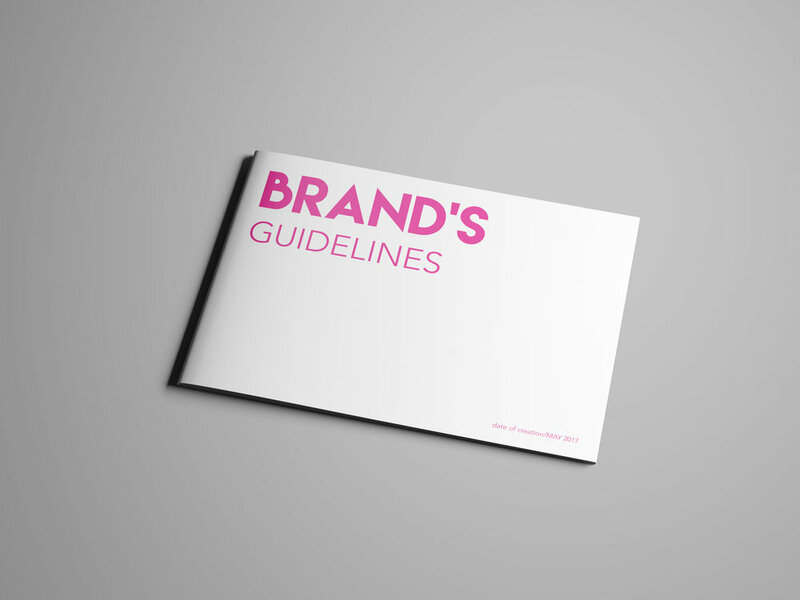 The Brand Guidelines is a document that helps the company to use their visual identity on a day-to-day basis in order to stay "on-brand" when creating any content that needs to follow the visual identity of the brand. It generally provides, the company with information such as: colours and fonts and how to use them, it can also includes some examples of layouts to give an idea of how to layout with the brand identity. It is mainly a guide that provides the "do's" and "don't's", to be used by anyone who needs to create a piece of communication for the company and make sure they stay on-brand.